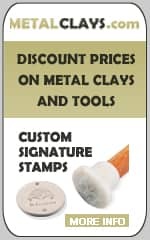 On this page you’ll find information, tutorials and projects about metal clay for beginners. Content checked January 2019. If you’re a complete metal clay beginner, have a look at our metal clay for beginners page. Beginners often make the mistake of leaving metal clay in contact with aluminum/ aluminium, either in the form of foil or leaving it in contact with cutters. This causes contamination of the metal clay. This article has excellent information about this contamination. Mary Ellin D’Agostino has carried out a number of experiments on this and shares her findings here. Instruction sheet from Art Clay World about metal clay for beginners. Will download when you click the link. Instruction sheet about working with Art Clay Silver Clay. Will download when you click the link. Instruction sheet from Art Clay World. Will download when you click the link. Some great metal clay for beginners with tips and tricks from Kris about forming bails for metal clay. Useful site explaining all about FYI brand metal clay for beginners. This great downloadable PDF is a comprehensive testing of the silver clay brand FYI. Will download when you click the link. Useful article about working with FYI999 clay. Comprehensive instruction sheet about working with PMC metal clay for beginners. Will download when you click the link. 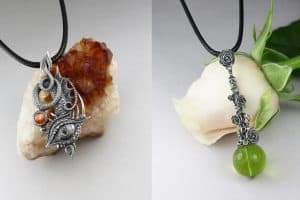 This useful blog post from Lora contains lots of terms often used in connection with metal clay which beginners find confusing. Use this glossary to help you understand what we’re all talking about! Useful metal clay for beginners introduction from Silver Clay. This useful article from Mary Ellin outlines the type of things to use as a release agent to stop your metal clay getting stuck to surfaces, textures and your hands. Great little metal clay for beginners tutorial about gold clay, when to use it and how to make your own paste with it. Has firing tips too. There are a plethora of commercially made tools on the market. But there are many tools you can adapt from odds and ends around your home, purchase inexpensively from hardware or beauty supply stores, or make yourself. If you take a class, and have the opportunity to use the instructors’ loaner tools, make a list of the ones you specifically found useful. If you haven’t yet taken a class, perhaps you’d like to print out this page, and make a check list of tools you want to acquire. Comprehensive guide to firing metal clay. Due to differences in the binder and size and type of metal particles, different metal clays will shrink at different rates. You can calculate the finished size of a metal clay piece using the correct shrinkage rate for your clay. Note that these calculations can only give an approximate size. The firing temperature and time will affect the shrinkage. Interesting Q&A with metal clay teacher and artist Patrik Kusek. Great comparison between PMC+ and the newest of the silver clay brands, FYI. This very useful comparison chart for the PMC brands of metal clay includes the new PMC Pro. It shows comparative shrinkage, firing schedules, tensile strength, bending strength, surface hardness and density. It also includes explanations of what all that means! This guide was written for the PMC Guild and is a good introduction to working with PMC. A one page chart of all the PMC varieties, great for teachers. 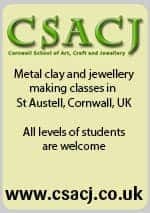 A comprehensive introduction to the material, tools and techniques of working with Precious Metal Clay. PMC Pro, launched at the PMC Conference in July 2010, is the strongest of all the PMC clays. It is a mixture of fine silver and copper. Download basic information about it from the link above. PMC Pro has been discontinued. If you fancy making your own steel firing box, here are the instructions. Much cheaper than buying a box – and you can make it whatever size you like. Here’s a template for a box size 3” x 4” x 2½” deep. PMC Pro has been discontinued. Brilliantly comprehensive and clear explanation of the differences between Art Clay and PMC on HubPages. Great alternative way of reclaiming metal clay from the dried stage back into workable clay. Fun blog post about reclaiming metal clay. Really useful blog post if your dry clay lacks binder. Great tutorial in French and English showing how to reconstitute dried metal clay. One of the great things about metal clay is that if you make a piece and don’t like it – before firing – you can reconstitute it into a lump of clay again. 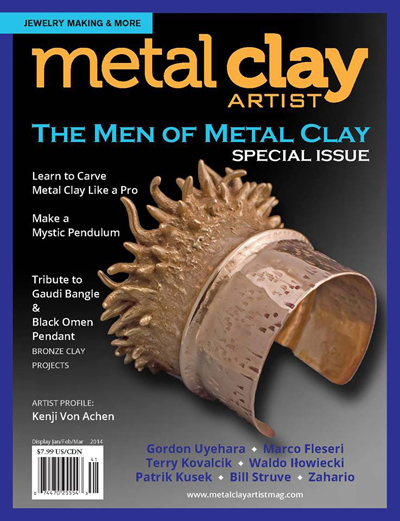 Great article about metal clay which also shows step by step instructions about how to reconstitute totally dry clay back to useable clay. Another of Margaret’s very thorough tutorials about rehydrating and reconstituting dry metal clay. Easy to follow tutorial with great pictures. This brilliant online tool will help you to calculate the shrinkage of the clay, no matter what clay you’re using. Rings and flat things shrink at different rates so this calculator takes that in to account too. Great tips and tricks from Kris Kramer about using the syringe. This is page one of three syringe tutorials, use the arrow buttons on the page to see the other tutorials. This great resource from Holly Gage collects together tips and techniques from a wide range of sources. Grouped into an alphabetical list, scroll through to find lots of useful information. Very useful and informative article by Hadar. It explains the sintering process that all metal clays go through during firing. 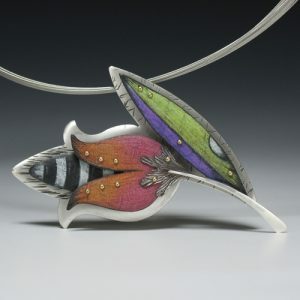 Hadar demystifies the alchemy of metal clay firing and talks about all types of metal clay. Useful article if you love making rings. This great tutorial explains the process of simple construction using wet to wet, wet to dry and dry to dry metal clay elements. Great idea for making your own cheap rubber block to work on. Useful Q&A format for everything to do with using Art Clay. This includes useful safety information. Celie Fago shares her findings from mixing PMC Sterling with PMC3 to create a strong clay which can be open shelf fired. 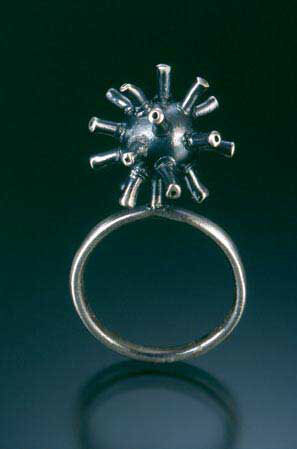 This results in a silver object which is 960 parts per thousand of silver. Really useful chart showing drill bit sizes for different wire gauges plus the sizes in mm, inches etc. This useful tutorial shows you how to make a metal clay extruder cheaply. On Hadar’s blog she also shows how to make extruder discs cheaply using base metal clay. How to solder onto metal clay. This useful pdf from the PMC Guild tells you how to make lavender paste. This is the equivalent of Art Clay oil paste and allows you to connect fired metal clay pieces with a strong bond. Good little how to guide for using slip to make metal clay leaves. Lots of practical hints and tips. There are some great tips and tricks in this tutorial from Kris. There are some great ideas from Kris in this tutorial. Learn to make your own tools and adapt others. Nice introduction from the PMC Guild. Useful guide to the strength of PMC depending on how long and hot it is fired. In response to concerns about the safety of metal clay and related materials, a controlled test was conducted to measure the quantity and severity of fumes produced during the firing process. Handout from the PMC Guild. Fantastic resource from the Guild, now through Rio Grande, listing many tests, comparisons and how to guides. Well worth a browse.